Headquartered in Florida, with offices in Fort Myers and Orlando, BCI Integrated Solutions is a licensed provider of specialized innovative electronic building solutions and low voltage systems. 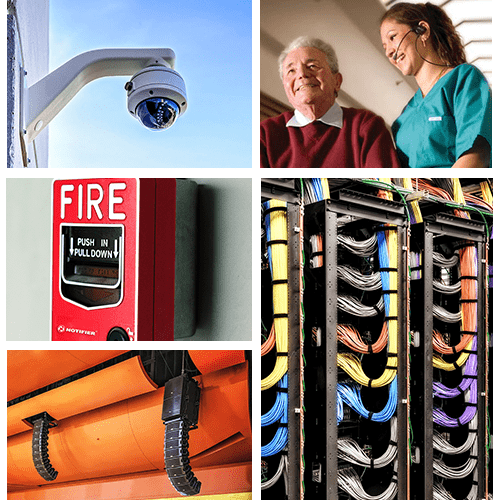 BCI expertly designs and installs audio video, security, structured cabling, and life safety systems. Servicing clients locally and internationally, BCI has built solid relationships with prestigious and demanding clients and contractors by providing superior service and support. BCI Integrated Solutions has provided professional solutions to businesses for over 15 years. We have had the opportunity to design and install integrated systems to major sports venues, corporate training centers, hotels, colleges, universities, hospitals, and many other facilities. Our employees’ experience and professionalism allow us to provide your business with the service and follow-up you expect from a professional contractor. We Work with You, and for You. We ask the right questions to find out about your business, what you need, and what you really want for your project. We integrate all of your electronic systems to work seamlessly together. Keeping the control of your business in your hands. We are always on the front end of technology, providing you with the best possible solutions for your projects for today and tomorrow. At BCI, we’re a people company. We work directly with you every step of the way to ensure success for your project. We provide you training and support to projects even after they’re finished. Our service team is here to help you. At BCI we elevate the process. Our commitment to customer satisfaction begins with our first conversation, continues into the design and installation phases, and is sustained in our outstanding service support after installation.